Taking every precaution reasonable in the circumstances. Regardless of the size of your business or company, Health and Safety Training is necessary, and the legislation is there to protect workers. Often however, workers don’t receive the training required by law because they may not know they need it and/or, because employers may not think they have an obligation to provide it. Through training, workers acquire the knowledge needed to recognize potential hazards and do their jobs safely. An employers’ due diligence, to protect the health and safety of their workers, is fulfilled when they provide the necessary training. The Occupational Health and Safety Act (OHSA) specifies duties and requirements in the regulations. When inspecting a workplace an MOL Inspector looks very closely at an employer’s activities that prove that the employer is “Taking every precaution reasonable in the circumstances for the protection of workers”OHSA S.25(2)(h)which includes training in other areas as well. 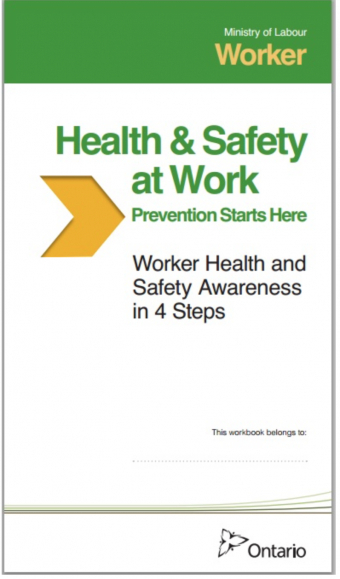 Preventing accidents and illness caused by work must be a key priority in the workplace. Educating workers on occupational health and safety reduces workplace accidents and injuries and saves companies from costly legal battles and high fines for non-compliance. If you think health and safety training is both expensive and wasteful, you don’t want to wait to discover the actual cost of one workplace injury. Training equips your workers to work safely in your workplaces and empowers them to be maximally productive... that is great profit by itself.